The past few days have been very busy for the eight beautiful contestants vying for the title of Miss Samoa 2016-2017. They’ve been visiting different places since the beginning of the week as they prepare for the finale night tomorrow. On Tuesday, they had the opportunity to visit the Home for the Elderly at Mapuifagalele. 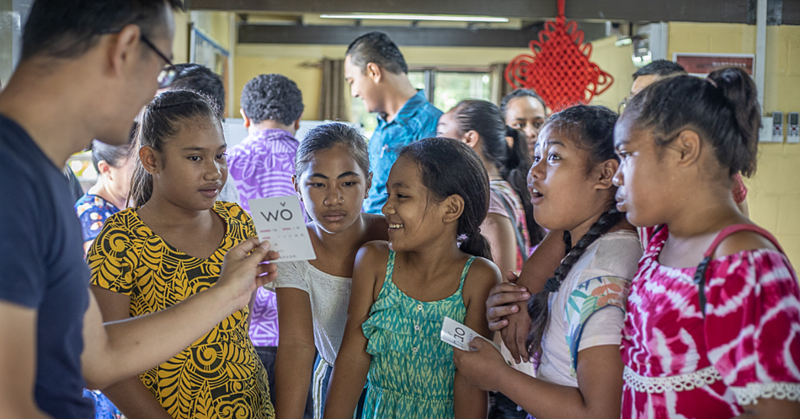 They were accompanied by the current Miss Samoa, Arianna Taufao and the organizing committee for the Miss Samoa Pageant. Their visit to Mapuifagalele was different from all the other places they visited. 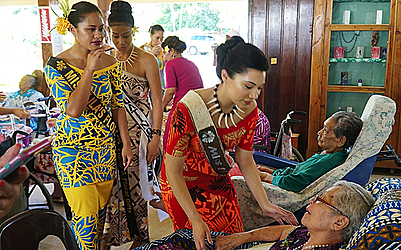 “It was a very touching and emotional visit for us all,” Miss Lila’s Floral, Abba Rose of Sharon Dinah told the Samoa Observer. 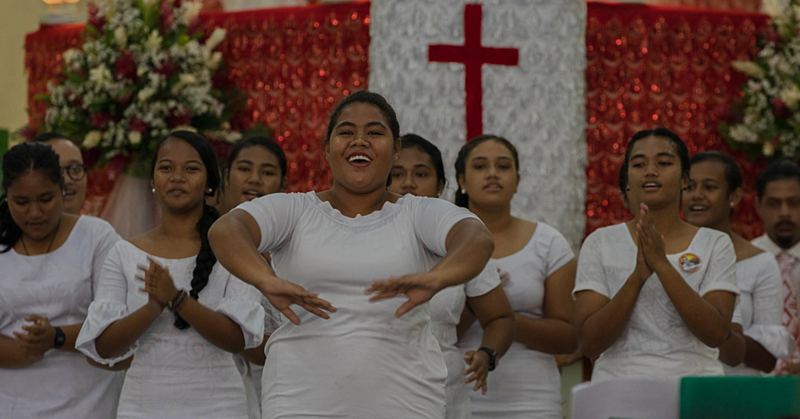 “I think seeing the elders there reminded us of our own grandparents and elders that are here with us today and those who have joined our heavenly father. 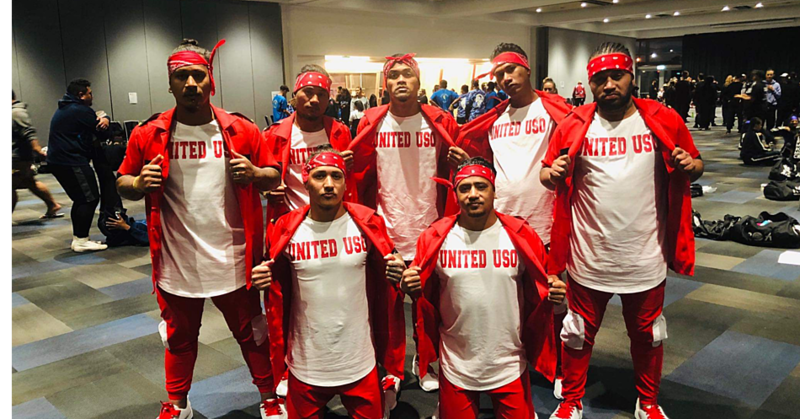 “We have so much respect for the work the Sisters do there and it reminded me especially that we need to respect and look after our elders as they had paved the way for us all. They have sacrificed things and worked hard so that we could have the lives we live today. She went on to say that the visit was touching especially as she had lost her grandmother just recently. She also wants to encourage young people to visit Mapuifagalele and volunteer their time to help out the Sisters who are looking after the aged people there. Miss Samoa Australia, Miriama Latu Meafou couldn’t agree more to that. She says, “My heart melted when we went to Mapuifagalele. “But I thank God for those who are responsible for taking care of them.